Hello, hello! Today we have a very fun Whiteout Wednesday. Gloria Graham is a kitchen designer in Florida and writes one of my favorite blogs, Kitchens for Living. 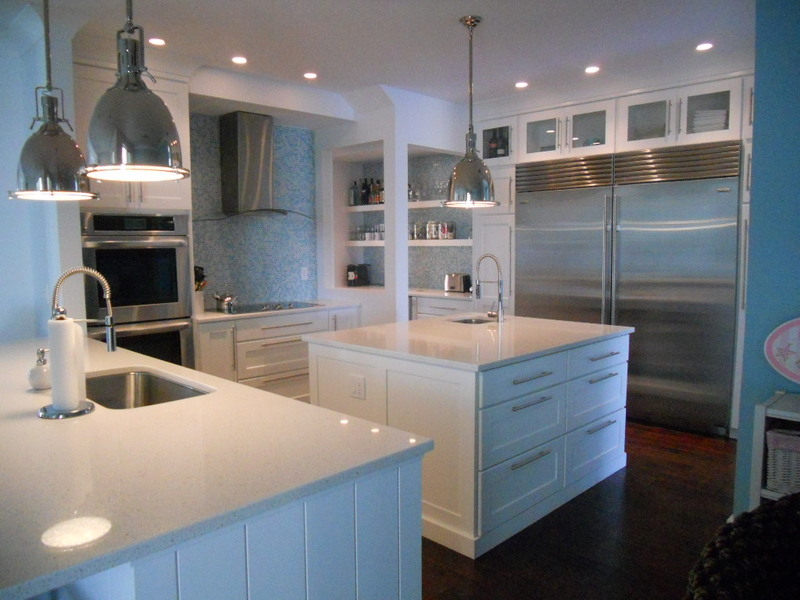 She sent me a few pictures of a white kitchen that she designed and yes, it's beautiful! The countertops are a 3 cm white quartz. 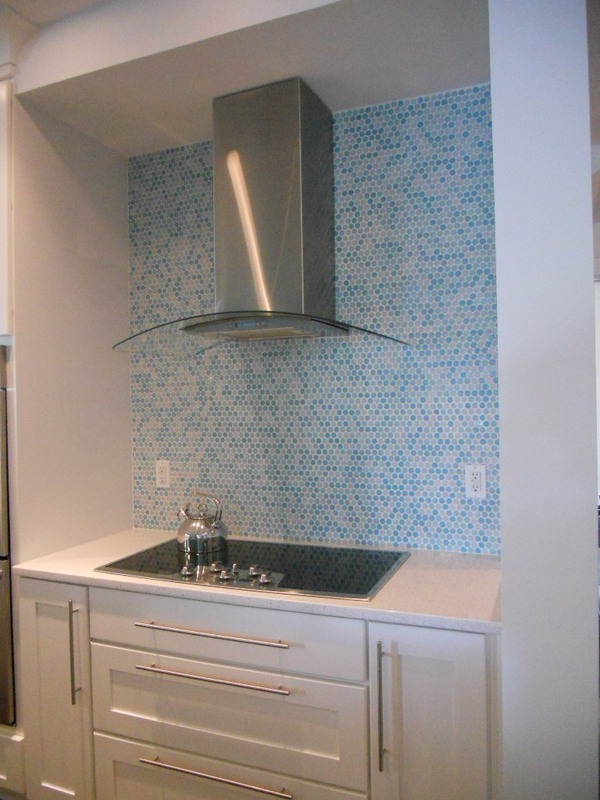 I just love that blue penny tile backsplash! It's all the details in this kitchen that make it so great. 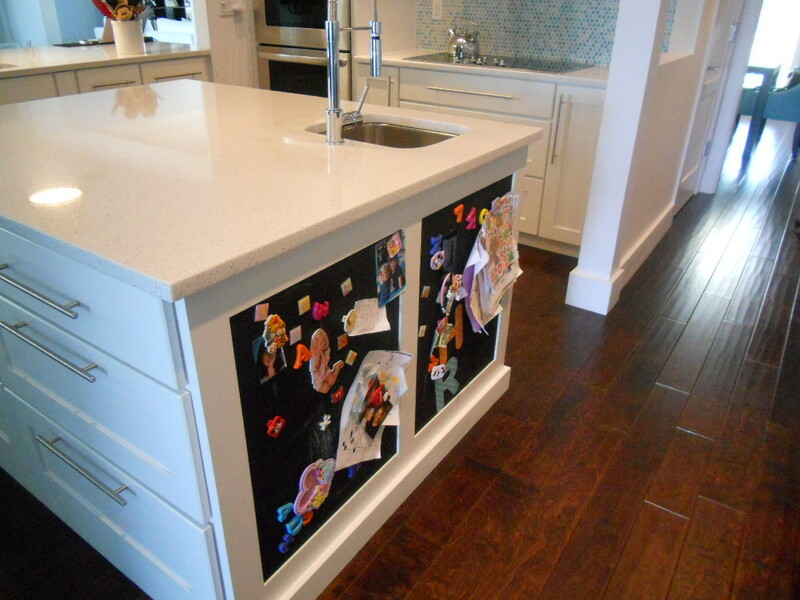 The pendent lights, the glass doors above the refrigerator and this magnetic chalkboard on the end of the island. This is sure to keep the little ones entertained while you are making dinner! Thank you Gloria for sharing this beautiful kitchen with us. If you would like to see more photos of this kitchen (and other great projects by Gloria) click here. Great post (of course I'm biased). Thanks so much. White is definitely right these days. I'm honored to be included in your uber cool blog. I love it! I love the penny tile splash, it really adds a nice element of color in this perfectly white kitchen. I love Whiteout Wednesdays! This kitchen was fun to see.